Awards ceremony will be held at the Gap Pub & Grill on Sunday February 25th @ 1:00 where drinks and food can be purchased. 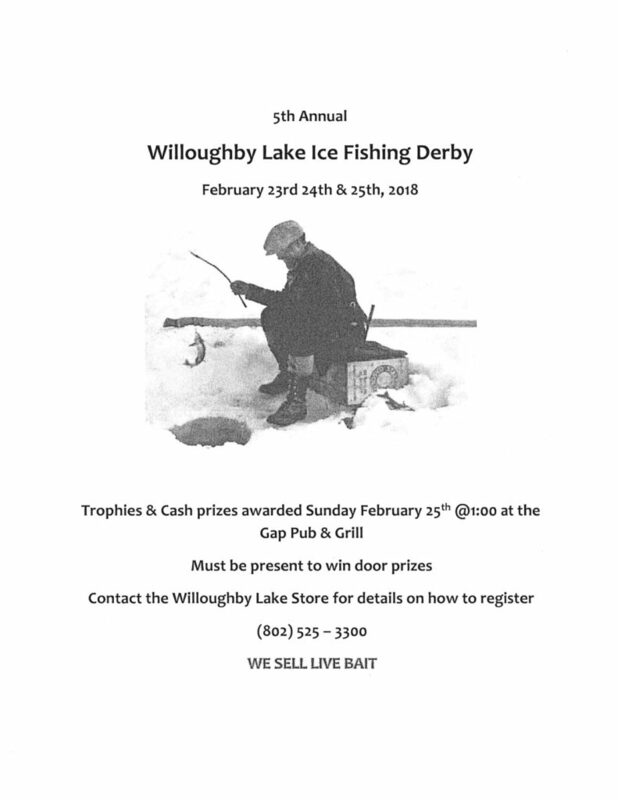 Call the Willoughby Lake Store for more details (802) 525-3300. We are looking for business sponsors for door prizes. All sponsors will get advertised in our ad on the radio as well as recognition at the awards ceremony. Previous Previous post: Moon Mad Cash!